Ed Fornieles's New York New York Happy Happy is part of the Performa Consortium program. Proceeds benefit Rhizome's 2013-2014 program. MARIJA VAUDA PILIPOVIC | Mon, Dec 2nd, 2013 8:25 a.m.
MANIK was active on Rhizome_Raw about 8-9 years. We give more than 1000 works to 'list' and one cloned object. 'Yes Man' stole our work ''War is over'' which we published on Rhizome and get price /$20,000 ... not sure where/. But, for as in that time was more important to spread spirit of mutual understanding than to fight in advance lost fight. 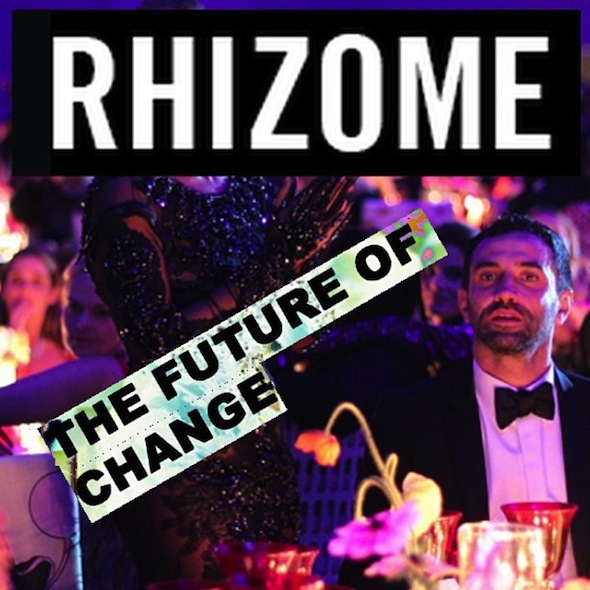 One day all we make on Rhizome will be history, not just NMA works you chose to deserve that name. In that light we see Rhizome as deeply restrictive and local place which contend all form of 'old-fashion' USA conservatism , far from his own good intentions in beginning. It is kind of transparent and public showed degeneration of good ideas. We hope you'll learn something from your mistake and find imagination to roll on.